Bobble Head and Fun Night! A Netmech tournament for some prizes is coming up! This game is ancient now a days, so I'm sure many of you are asking yourself what in the world the game is. 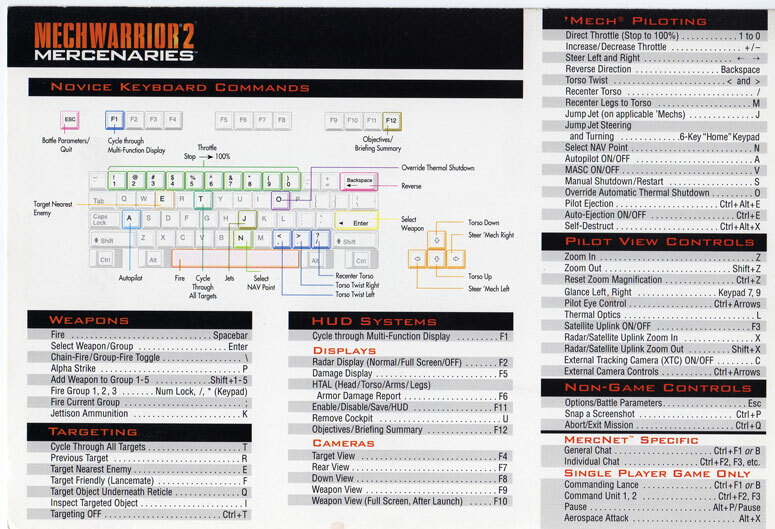 Netmech is the free multiplayer side of the original MechWarrior 2 game released in 1995 by Activision. Netmech these days probably could be compared with a deathmatch game, but with slightly more depth. Basically it is 50 foot tall mechs walking around shooting each other to see who comes out the best. If you have never seen netmech before you can see a video of it in action. If you are curious as to what the default keys are for the game click here or for a full listing click here. You may download it free of charge at here. If you are on linux or mac, go to the mech2.org site as there are instructions specific to your OS's which will allow you to play with some extra work. The tournament will be held on Friday 15th, 5 PM PST (7 Central, 8 EST, 2:00:00 AM CEST (aka. Server Time) (Sorry for the bad time for you guys in Europe, but least it is on a Friday)) in the IRC server (irc.netmedia-netherlands.com #netmech). I am not doing sign-ups until shortly before the event starts. Pairs will be setup on the fly by myself or a helper on the day of the tournament. The settings for the game and weapons class for the mechs will be randomly assigned by the random setting generator prior to the time of the match. However, each match will be to 5 kills on the hud and each player will be taking the same tonnage mech and weapons class. Match assignments will be as such that the winning player in a bracket will move on to fight against the winner of the next bracket over. Players not familiar with the weapons class system that we use and general rules may find them on this page. Without further ado, here are the prizes. An official MechWarrior 2 t-shirt. This T-shirt was made at the time the game was released and has never been worn, but has been in storage for a very long time. Great condition! Alternatively, if the player that wins is from Astro Empires they may opt for a 3 month upgrade to their account instead of the boxed copy of MechWarrior 2 or Mercenaries. Alternatively, if a player that is from Astro Empires gets second place they may opt instead for a one month upgrade. Anyway, I hope you all come! The more players the more fun this event will be! I think I can be there, too. I'll try to stay awake. I decided to translate one poem from play "The House That Swift Built" that was written by great russian satirist Grigori Gorin. Not sure if it was translated to English. Must say, that I'm awful poet and my English is far from perfect. So here it is. And trumpet trump! And signal call! Crowd pour in a horde. Is going fight with foe. With lance that he has got. To battle in all ammunition!! Reborn in all the world. Let bones brake while fold! Let's show your mind to all!! !